Here we feature air pillow packaging and any void fill packaging systems that allow you to fill your own packaging pillows and provides instant void fill or cushioning solutions for a variety of packaging applications. These air cushion systems are perfect for void fill, cushioning, blocking and bracing applications. Perforations between each pillow allow you to tear off as few or as many air pillows as you need to fill a box. Light weight saves on shipping costs. These pillows are brand new and save you money based on comparisons to bubble wrap and packing peanuts, kraft paper and other cushioning wraps. When it comes to packaging needs, air pillows seem to be the ideal choice for void fill. We recommend a good packaging void fill system that allows you to fill your own pillows as you will save on shipping costs of the fill before you use it. 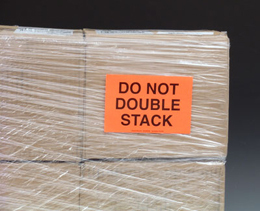 You will not be paying the dimensional weight shipping cost for roll stock or bubble. Mini Pak'R Film is ideal for large scale shipping operations, mailrooms, or retail shipping station. Air pillows are easy to use and cheap to make, excellent for product protection, professional looking, and easily disposed of. Unlike bubble wrap, packing peanuts or paper fillers with air pillows you can place the pillows where you need them in a box. This is the lightest void fill material on the market. Many times lighter than kraft paper or packing peanuts without the mess, and they are reusable. In addition to stabilizing products, inflatable air pillows help to minimize freight charges and present a clean, professional-looking package. GBE Packaging ships many styles of Bags, including, barrier food bags, bottom loading barrier bags, zipper bags and more. What ever product you are packing we can help you find a quality bags or box for your product. We have helped customers package such items as flavored taffy candy, chocolate candies, atomic fireballs, bubble gum, candy bars, suckers, hard candy, bottle caps, jerky treats, bubble tape and more. Many of our bags meet FDA and USDA specifications for food contact. Have a Government Contract - All of our bags are industry spec so an advertised 2 mil bag will be 2 mil. We specialize in product packaging and only sell the highest quality bags. Thousands of styles of bags in stock ready to ship today. We have poly bags, low and high density, food bags, sample bags, bags on a roll, bubble bags, foam bags, and medical bags, specimen bags and more. We also stock cloth bags, like burlap bags, and cloth mailing bags, parts shipping bags, and sand bags. We have plastic and paper shopping bags, drawstring bags, trade show bags, pharmacy bags, and autoclavable bags. We have bags for Autobag Machines, document protection and umbrella bags. Bags on a pad, write on bags, saddle pack bags, wicketed bags, and microperforated bags for bread and rolls. Bags for comic books, magazines and trading cards. Hang on bags, zipper bags, colored zipper bags, minigrip zipper bags, high clarity zipper bags and slider zipper bags. We also have bags in dispenser boxes and red line zipper bags all top name bags for your parts and products. We have thousands of zipper bag sizes and all of our bags come with same day shipping. We also have liners, trash liners, medical liners, pallet liners, barrel liners, and box liners. We have water soluble laundry bags and hazardous waste bags to deal with asbestos and radioactive waste. 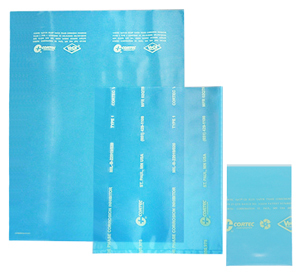 We also carry anti static bags, metalized bags, electrically conductive bags, and VCI anti rust bags. We only sell the best bags at GBE Packaging Supplies. Find the Corrugated Boxes that you need today. Over 1000 sizes of corrugated shipping boxes so you can find the right box that fits your requirements and we can help you find the right void fill for your box that will help you pack or ship your contents safely. GBE Packaging constantly searches the packaging industry for the quality corrugated boxes you need to safely move your belongings, represent and protect your products or valuable merchandise. 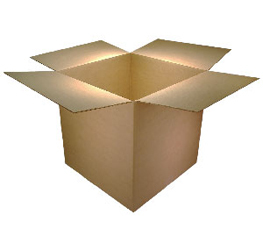 We stock many styles of cardboard boxes including but not limited to stock corrugated shipping boxes, product boxes, moving boxes, and flat corrugated sheets and layer pads. We only sell the highest quality corrugated boxes and you can be sure any box we sell does meet American Packaging Industry Standards. We have all the common styles of boxes, cube boxes, long boxes, tall boxes, flat boxes, printers boxes, side loading boxes, telescoping boxes, and moving boxes. We don't stop there, we also have bin boxes, multi-depth boxes, white boxes and we specialize in insulated shipping boxes. 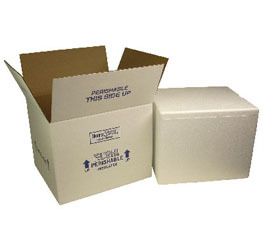 We carry many of the boxes you need to pack your smaller cartons into a master carton. We have super shippers, bulk cargo containers and air freight cargo containers. One box that is very popular is the corrugated trash container that fits a standard 40 gallon trash bag and are very used for parties and festivals. We also feature foam lined shipping boxes if you are shipping guns or fragile products and anti-static foam lined boxes, and laptop boxes if you ship computers or electronic parts and gift boxes too. We stock quality file storage boxes not the ones at the hardware store that are bent and never fold correctly. 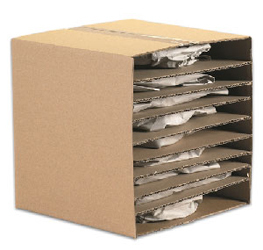 Shoe boxes, business card boxes, and chipboard boxes also known as reverse tuck boxes. We also stock many of the popular support items such as carton mask-out paint so you can spray over the writing on used cartons and use again, and the carton sizing tool to resize boxes for your use. Carton staplers and all the carton tape to with the cartons. We can help you find the right Bubble Envelope for your product or documents. Whether you are mailing small products that do not require a box or gift cards, flash drives, many products are perfect for padded mailers. 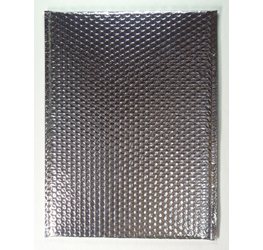 We stock many popular padded bubble mailers that make it easy to mail intermediate items to customers or friends and give the item some level of protection from scratches and impact damage from conveyor systems the shipping carriers are using. Bubble envelopes are an easy and economical way to ship those small items without having to box and pad with void fill. Bubble envelopes offer outstanding protection for semi-fragile items. Jiffy TuffGard Bubble Lined Self-Sealing Mailers have superior cushioning with maximum protection, and excellent durability from moisture and punctures. Bubble envelopes can be ordered in kraft or white and we also have some metallic style envelopes that look very nice. Bubble envelopes can be self sealing to save you time or save money by ordering the flat open end and seal them yourself with staples or tape. Bubble envelopes are also used often for books, tapes and written matter that also require protection during shipping. From small replacement parts to pens, jewelry, phone accessories and more are shipping every day in padded mailers also known as bubble envelopes. 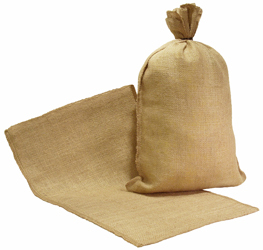 Burlap bags are great for shipping and storing metal parts and fittings, large castings or hardware. Burlap bags and material can also be used as sandbags and for landscaping, construction, and good old burlap sack races. Industrial burlap bags and rolls. Great for shipping or storing new or used heavy parts, castings, fittings, and larger hard to package hardware. Used to store plumbing parts that are coated in grease and can be sealed with pig rings. Bags are great for landscaping and nurseries too, wrapping trees, bushes and shrubs, covering grass seed or for emergency sandbag use. Burlap material will absorb moisture, oil and grease and still allow airflow. Also can be used in burlap sack races - Do they still do that? Carry Handles - Increase sales by making it easy for consumers to grab and go with Carry Handles pre-applied it can be a real time saver for large sale items. Your customers will love these when you offer them for odd shaped purchases that won't fit a bag. 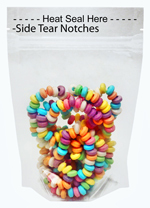 Reduces packaging; eliminates using extra large bags or void fill when boxing. Whether applied in line on the factory floor or at your check-out counter, they are strong white plastic strips with high tack adhesive on each end that create a handle loop for carrying bulky packages. Carry Handles are a simple way to add convenience for consumers while enhancing your marketing effectiveness. Carry Handles are easily attached to just about any product or package, providing a strong hold on large, awkward or heavy items. Carry handles have a strong adhesive that sticks to a wide variety of surfaces, including paperboard, cardboard, poly bags and are a better environmental choice, cutting down on plastic waste and answering the call of the “ban the bag” movement taking hold across the nation. Chipboard Sheets are great for reinforcing envelopes or making partitions for boxes. Chipboard Boxes are perfect for small lightweight items that do not need a regular slotted container. Chipboard sheet is a type of paperboard. It is a low quality control item that was created to use as a pallet sheet or cover but have now become popular for scrapbooking and toy making. Used quite often as template material as its easy to cut or trace on. It comes in two thicknesses .22 or about 2/32 of an inch and .30 or 3/32 of an inch. It’s formed using recycled paper that is then pressed and glued together to make a solid structure. 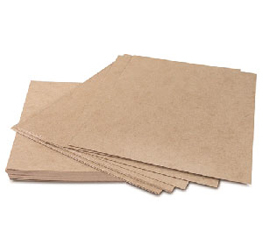 It is a sturdy kraft fiberboard construction for durability. Pad is perfect to use as top layer for cartons or pallets to avoid damage from box cutters and knives. Some auto cutters on the market use chipboard and its common use is to stiffen and protect photos in the mail. Chipboard cartons are also known as Reverse Tuck Boxes and are popular for small lightweight products or food items. We have a full selection of closing devices, nylon ties, plastic and paper twist ties, bag closing devices, rubber bands and more. Some of the most popular closing devices are included here, starting with the bag closing machine and tape that allow you to seal bags from a stand alone or table top unit and they also have a portable unit that is hand held and can be used anywhere you need to seal bags. We also have a zipper bag closing machine that makes it easy to seal zipper bags and we have bread clips, plastic clips used in the red mesh produce bags and twist ties and rubber bands. Also covered are impulse heat sealers used for poly bags and constant heat sealers used for foil and metallic bags. We carry truck seals and safety seals for bottles that are tamper evident, and many more closing devices you may find useful. Leak proof, reusable and economical to use due to it's long life cycle. Tested and shown to be the coldest and best gel refrigerant available. Specifically formulated with food safe, non-toxic materials that stay colder than ice. Ice-Brix™ Cold Packs - Specifically formulated with food safe, non-toxic materials that stay colder than ice. The Refrigerator in a Bag! Keeps perishables requiring a temperature range of 32°F to 60°F at a safe, uniform cool temperature for over 14 days. Ship Chocolates during the summer! We have cold shipping products to help you get your perishables transported safety. Caterers just love Ice Brix gel packs - One of the most popular gel packs available today! Frozen gel packs will keep your products cool in any climate. We stock a wide selection of cold shipping products that will allow you to ship chocolates during the summer or lobster, crab, shrimp, crawdads, and fresh fish! One of the most popular gel packs available today! Frozen gel packs will keep your products cool in any climate. Called colder than Ice Packs these keep perishables at a constant and desirable temperature for days, or extend your shipping times. These are used by caterers everywhere and are made to live a long life cycle. The ultimate in refrigerant packs. These refrigerants are non-toxic, sealed in a heavy plastic pouch and used by food service and catering operations when hot or cold food has to be transported to remote sites due to there long life cycle. Works well in virtually any application where you use ice to chill food and beverages. Use it in insulated shippers, pan carriers, and counter top condiment holders to keep items cold. Gel Packs that stay refrigerator cold for up to 14 days which is a real game changer when shipping chocolates. We also carry refrigerator cold gel packs called Re-Freez-R-Brix™ cold packs that are not well known but very useful as they stay refrigerator cold for up to 14 days which is a real game changer when shipping chocolates that should not get too cold and could be damaged if they are frozen. I am told you can heat these up as well and they will give off heat the same way they store and release cold. I know these are popular with caterers that transport meals daily to clients. We also carry a full line of insulated shipping boxes which are used with the gel packs to ship perishables to there destinations. We have thermal box liners which are insulated box inserts that can be used for short shipping cycles. We have EPS foam sheets to insulate boxes or odd shaped containers for cold shipping and thermal bags that can be used to keep items hot or cold. Please feel free to call us if you advice for cold shipping supplies. GBE Packaging stocks a very large selection of corrugated mailers and mailing tubes, we have put them in categories to help you find the right product for your need. All of the corrugated mailers and mailing tubes we carry are of the highest quality and your satisfaction is guaranteed or your money back. If you use mailing tubes, mailing envelopes, and mailing bags, we have a solid selection for you to choose from and we ship all orders the same day or next business day. We also have corrugated mailers in many sizes in both white and kraft colors, white document boxes, overnight shipping boxes, multi-depth mailers or book folds, jumbo mailers and reverse tuck boxes. Whether you need anti-static mailers or large jumbo mailers let GBE Packaging help you find the right fit for your products or needs. Our anti static mailers are perfect for computers and computer parts, video cards, memory chips, memory ram, and repair or replacement components for various equipment. Since they are insulated and fitted with two layers of soft polyurethane foam to protect against static and shock damage they are perfect for light bulbs and sensitive components. Anti-Static Protective Box provides complete Faraday Cage protection and safely protects static sensitive items during shipping and transport. We have corrugated mailers in both white and kraft and with many sizes to choose from which are perfect for any product and the box offers added protection and a nice professional look to your product. Corrugated mailers can be used for document protection and to box stationary or printed matter. Print shops love to use corrugated mailers for the small jobs that do not need a full size regular shipping box. Mailers are used for clothing items like hats, gloves, scarves, homemade crafts and small electronic devices. Corrugated mailers are easily labeled and can be taped closed and some of our mailers are the deluxe lock style that have a tuck in lip to secure the box closed. They are ideal for packaging artwork, photos, picture frames, and mirrors. We have jumbo mailers for very large products or they can be used as job tickets or to hold large projects in the office. Reverse tuck boxes are lightweight boxes made from chipboard that are available in white or kraft and also give your product a new level of protection and design. Mailing Tubes - Sometimes you want something different than a padded mailer or envelope and one possibility is corrugated mailing tubes for those long odd shaped items that need to be shipped and tubes are easy to label and add postage to ship. Many are small enough and can be dropped in the local mail boxes. They come in white and kraft as well as paper mailing bags that store flat. 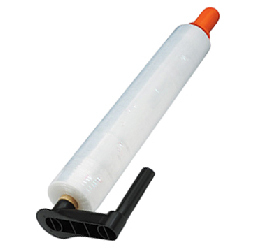 We have tubes that have plastic end caps that are provided to you with each tube or a less expensive snap and seal tube that allows you to pinch the end closed and you can always put tape over the end for added insurance. The tubes will protect photographs, posters, blueprints, printing proofs, bluelines, colorkeys, dylux proofs and so much more. Very popular in the print trade for protecting art work. Corrugated mailing tubes are also used for all kinds of products from screws and bolts to light bulbs. Its a fast and easy way to package your products for shipping or transport. We also stock multi depth book folds that are also good for books and printed matter, they are easy to load, some are self seal or tape closed, label and mail. We would be happy to help you find the right corrugated mailer or mailing tube. We can provide a sample for you to inspect just give us a call. GBE Packaging stocks corrugated sheets and pads, that can be used when packing boxes or equipment for shipment or transportation. We have put them in categories to help you find the right product for your need. All of the corrugated sheets and pads we carry are of the highest quality and your satisfaction is guaranteed or your money back. Provide Layers - Our Kraft Corrugated Sheets are all 200-Lb. Test/32-Lb. ECT. They are economical, fast, and they ship and store flat or store them in a box rack or shelf. We have several sizes to choose from and larger sizes can be cut down to make smaller sheets - They will cut in your standard print shop paper cutter or have your local printer cut them for you. Corrugated sheets are perfect on pallets to disperse weight or for separating layers in a box, put them between dishes or pans, or any delicate device. Also popular as a layer sheet for pallets and to separate print jobs in the press room. Some companies are using them for protection during construction or renovation projects. 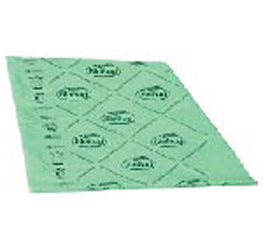 Use it to cover tables, walls, floors, counter tops and more during moving, construction or general maintenance projects. They can be used to protect photos and artwork and to stiffen the envelope when mailing delicate items and you can also make job jackets to hold artwork, printing plates, proofs, or prototypes. Packers use the sheets to protect your belongings in the move or wrap around fine surfaces to protect from scratches or nicks. One of our customers designed a jig in a table to allow them to cut the larger sheets into two saving money in house. Always a good idea to have some clean corrugated sheets on hand for those odd shaped items. Chipboard sheets are a type of paperboard used as a protection sheet when packing skids or pallets. It is a low quality control item that was created to use as a pallet sheet or cover but have now become popular for scrap booking and toy making. Used quite often as template material as its easy to cut or trace on. It comes in two thicknesses .22 or about 2/32 of an inch and .30 or 3/32 of an inch. It’s formed using recycled paper that is then pressed and glued together to make a solid structure. It is a sturdy kraft fiberboard construction for durability. Pad is perfect to use as top layer for cartons or pallets to avoid damage from box cutters and knives. Some auto cutters on the market use chipboard and its common use is to stiffen and protect photos in the mail. 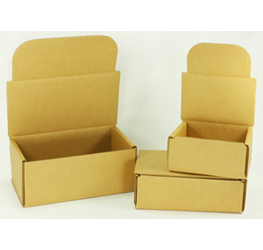 Chipboard cartons are also known as Reverse Tuck Boxes and are popular for small lightweight products or food items. Place between layers of product for protection and disburse weight. Our Kraft Corrugated Trash Containers are economical, fast, and they ship and store flat. Once they are worn out just recycle the cardboard box. Provides additional temporary waste or recyclable collection. Handles on sides make it easy to transport and dispose of when filled. Ships and stores flat until needed. Disposable Trash Boxes are becoming more popular each year for school functions, church functions, festivals and parties. Lightweight yet strong with die cut handles our corrugated trash boxes are an easy option for recyclable collection as well as trash collection at your next event. Corrugated Trash Boxes are cheap, fast and easy to assemble, and they ship and store flat. Once they are worn out just recycle the cardboard box. Compared to 55 gallon drums or metal/plastic trash cans our corrugated trash boxes are more economical. Wide handles make it easy to transport and dispose of when filled. Our trash collection boxes use a standard 40 gallon trash bag. Available Colors: Brown and White. GBE Packaging brings you quality Corrugated Trash Boxes that are perfect for church festivals, picnics, street fairs, company meetings and parties, or any public event. 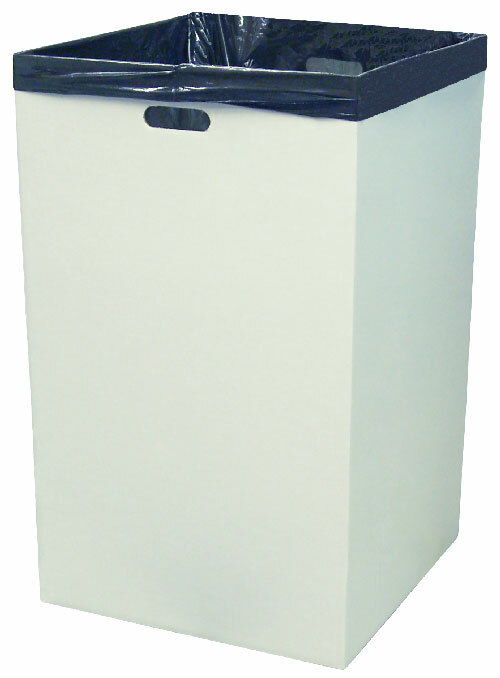 Our trash boxes use standard 40 gallon trash liners available just about anywhere. Many customers use our trash boxes for toy donation collections and food collections for a local food pantry. Our disposable trash containers can be reused and store flat. If you own a print shop or bindery our trash boxes are a medium solution if you cant use full size gaylords for your paper scrap. Use our corrugated trash containers for charity toy or food donation collection boxes. If you put several of these boxes in a row near your outdoor food service area or your exits and you'll find less trash on the ground. When trash boxes are easily seen they are more often used. With inexpensive corrugated trash boxes you can make walls of trash boxes without spending a fortune. Have trash containers at all of your exits and limit trash in the parking lots. They store flat for next year or easily replaced if soiled. At your festival or event store extra bags in the bottom of the box so as you pull out a full bag you can just grab a new one from inside and your good to go. Make them into recycle bins - for school projects let the children decorate the white style boxes with crayons or markers. Signs and posters can also be attached to the trash boxes, label for cans or bottles only or place advertisements and public service messages. Trash boxes can be used as large sorting bins for food pantries, mail and sorting facilities, and recycle facilities. Inexpensive and strong they can be moved easily and fit a standard 40 gallon trash bag. Store packing peanuts, polystyrene beads, assembly parts or balloons, lots of little parts can be stored in our boxes until needed. Available in kraft or white for that clean look. 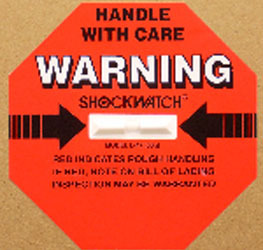 GBE Packaging stocks Damage Indicator Labels. Indicators allow you to know if the shipment has been subjected to certain conditions that normally you would never know happened. Know if a package has been mishandled. Sensor gives you solid evidence of mishandling. Some shipments are critical, delicate, or sensitive and need to be protected and monitored. Whether you need to monitor temperatures of your shipment or for shocks and rough handling we have a sensor for that. Tipping - We have a sensor to tell you if your shipment was tipped or tilted that can be attached to a pallet to alert you of unusual movement when shipping delicate or sensitive devices. Tiltwatch XTR indicator label is a peel-and-stick label and helps for deter mishandling. Indicator changes from white to red if package is tipped excessively. Freezing - Many shipments should not be exposed to freezing temperatures and if it is the contents of the shipment could be damaged and that you should know. Our freeze indicator cards will tell you if the shipment was exposed to extreme cold. Freeze Indicator Card turns red when exposed to temperatures below 32ºF/0°C. Humidity - You might need to monitor humidity and we have a card for that you can attach it to a pallet or drop it into a box to monitor inside temps of boxes or cabinets. Three-spot humidity indicator card (indicates 30-40-50% humidity) just drop one into package with a desiccant and seal. Open at receiving end and check card. Color change from blue to pink identifies the presence of potentially damaging humidity levels. GBE Packaging stocks a large selection of document and media protectors, which can be used for policy protection, page protection, 3 ring binder sheet protectors, and ad envelopes. Sheet protection, job tickets, vinyl badge holders, we have several styles of multiple pocket document protectors all made with clear vinyl to make them sharp and professional. Whether you need clear sheet protectors or sheet protection for 3 ring binders, we have it. 3 Ring Clear Vinyl Sheet Protectors or Plain Sheet Protectors - No need to punch sheets of paper that will most likely rip anyways. Ideal for certificates, sales presentations, photos, or reports. All edges and holes are reinforced. Won't rip out like punched paper sheets. Just insert any 8-1/2" x 11" or smaller sheets to create neatly organized reports. Sewn Vinyl Job Ticket Holders with Pockets - Vinyl job ticket holder with front pocket and black stitched edges is made from durable, heavy-duty vinyl that stands up to repeated use in a variety of work applications. Keeps documents together and neatly organized. These vinyl envelopes can be used as job tickets or project jackets. These are designed for a long life cycle. Our Laminator with 4 Rollers (12" Lamination Width) is an easy-to-use laminator that warms up quickly and small enough to store in a drawer or shelf and the lamination pouches offer quick and inexpensive protection against dirt, water, and dust for id cards or important documents. 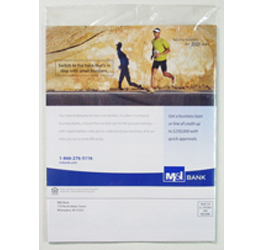 Magnetic Vinyl Envelopes are removable envelopes will not damage surfaces. 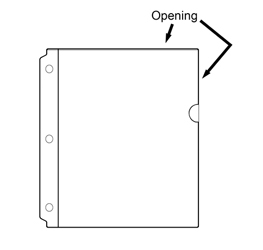 Clear vinyl envelopes have an opening on the short side and durable side seams. Magnetic strips adhere securely to most metal surfaces. CD - DVD - Bluray Protection - Types of CD / DVD Cases, CD / DVD Sleeves with Flap, Media Mailers, Vinyl CD / DVD Binder Sheet - 7 Gauge, Vinyl CD / DVD Holder - 7 Gauge, White Corrugated Audio / Video Boxes and White Corrugated CD / DVD Box. CD / Multi-Media Cases & Sleeves - We have several types of CD / DVD Cases, CD / DVD Sleeves with Flap, Media Mailers, Vinyl CD / DVD Binder Sheet - 7 Gauge, Vinyl CD / DVD Holder - 7 Gauge, White Corrugated Audio / Video Boxes and White Corrugated CD / DVD Box. CD / DVD Case protects contents and makes identification easy. Multiple Pocket Document Holders - Are used to protect documents, passport books, policy's, warranty paperwork, insurance paperwork, presentations, or many more examples. All styles have large, top-loading main pocket for full-size papers, plus smaller outer pocket(s) to store inventory tickets, file cards, and more. These too can be used as job tickets or project folders or to store inventory tickets, sku tags, or office spreadsheets. Routing Envelopes - Are perfect for interoffice communications or internal mailrooms, college services, and university mail rooms. 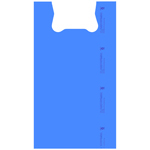 Polyethylene Routing Envelopes with Slit Opening are reusable top-loading envelopes with convenient hang hole and are ideal for color coded job tickets and protecting work orders. 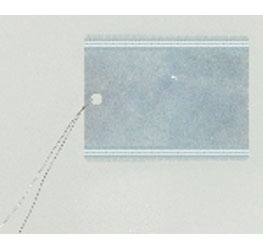 The vinyl envelope with hook & loop closure and hang hole protects reports, work orders, instructions, and other important documents from dust, dirt, wrinkling and tearing. Short-Side Opening String Closure Polypropylene Envelopes are great to use to create stylish presentations. Single Pocket Document Holders - Also great for policy's or documents, all kinds of warranty paperwork. Some of the document protectors are color coded and perfect for job tickets or project jackets. They can be used to hold inventory tags, or sales pricing tags, that can be attached to say rolls of carpet for example. Some of the document protectors are often used as brochure jackets or other printed matter it allows you to put your business card in the provided slot on the front of the document protector. Some are press on self adhesive style and vinyl zipper bag document protectors. Vinyl Ad Envelopes - Organize and display ad's or price tags, keep important documents safe and organized with these quality made clear vinyl envelopes. Crystal clear heavyweight vinyl offers protection against tearing, water damage, dust, and more and allows you to view the contents with a glance. Two products that are very popular are the Non-Glare Vinyl Tag Holders with Colored Flap and Non-Glare Vinyl Tag Holders with Flap. 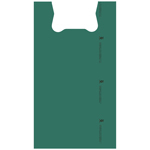 Non-Glare Vinyl Tag Holders with Colored Flap have protect tags, special instructions, and maintenance records against the elements. Special weather flap covers insertion slot to keep contents clean, dry, and readable. Vinyl Badge Holder & Retractable Badge Reel - This is a popular addition to any HR program in the workplace you can issue or have your employees wear id cards for safety and security and we have a retractable badge reel that allows you to pull the card out to present or scan and it will retract when finished. Vinyl badge holders are heavy duty and clear with a die cut reinforced hang hole for a badge holder. Vinyl Press-on Binder Label with White Insert Card - Self adhesive tags will attach to binders or folders and allows easy identification. Vinyl Press-On Zipper Envelopes - Press these on shipments with important documents or BOL's, packing slips, instructions, work orders, and maintenance schedules while protecting from dirt and moisture. Can be used for certification tags or anywhere you want a temp sign. Vinyl Slider Zipper Pouches - They are clear vinyl pouches so you can see what's in them, and they have an easy slide zipper for easy opening and closing. Great for storing pens, pencils, blades, ink tips, or small papers. At GBE Packaging we want to help you package your products and save money too. Call us if you want to try out a product we can send you a sample to inspect if time permits. We would be happy to make suggestions for you when it comes to document protection. Just call or email us! GBE Packaging stocks Drums - Drum Liners - Drum Covers and some Spill Control Kits. Fiber drums are used for dry or wet storage you can use drum liners to insulated the drums and many companies use them as containment storage for product while in house. Some shipments are critical, delicate, or sensitive and need to be protected by drums or in drum liners. Fiber drums are a great storage and transportation medium and are used extensively in the food industry as well as dry goods or poly beads, sand, or any industrial product that needs handling or storage. Plastic drums and buckets are very useful one use is to hold and store emergency food and supplies where mice and rodents cannot get to them. They can also be used to hold food items, dry good, cleaning solvents, and chemicals. Some people use them as storage of lab chemicals, salt, medicines, or pine cones, golf balls, nuts, powdered solvents, poly beads, dry powder coat paint, lubricants, food stuffs and just about anything. Drums are also great for sugar, flour, and powdered sugar, dog food, cat food, or any animal food. They also are great as trash bins when they get too old to use for transport. Some people are using these for rain water collection or yard storage. They can keep rope from drying out and protect from moisture too. Sand or dirt, landscaping medium, chips, pebbles, rocks, or furtilizer, plant food mixtures. One of our customers use them in their dust collection system making it a two stage system. Of course they can store fuel or oil too. Barrels are good for composting, hydroponics, material storage and many other uses. Barrel accessories come in handy like a barrel liner, barrel adapter or barrel seal, help minimize slippery spills from leakage and keep workers safe around drum and barrel pump stations. 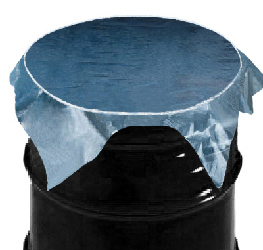 Drum covers can keep dust, dirt, moisture, insects, or other matter out of your product. 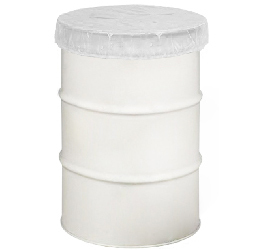 They are lay flat sheets that can be secured over open drums and containers. Secure with large rubber bands to protect contents and help prevent spills. 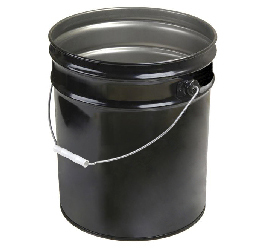 They keep the dust and debris out, while allowing easy entry back into the drum or bucket. Drum Liners eliminate the need for drum cleaning! Big time saver! These drum liners and rigid pail liners usually made from polyethylene are found in areas where industrial packaging of foods, paints, chemicals, pharmaceutical products, and many more items are used or disposed of. Rigid Drum Liners or Drum Inserts are vacuum formed and are constructed without any seams and slip right into the drum or buckets. Drum, barrel and pail pumps include siphon pump, rotary pump, hand pump and piston pump models. All are helpful in handling liquids, lightweight oils and soap solutions typically used in automotive and cleaning applications or to transfer chemicals, antifreeze, detergent and petroleum-based products. A barrel pump can add speed, convenience and control to dispensing low-viscosity fluids, while an air drum pump uses compressed air for helping dispense heavier-weight liquids. Quickly and easily pump fuel oil, lubricating oil and other non-corrosive liquids from barrels, tanks and drums. The barrel pump is self-priming with an easy-turning hand crank and can transfer 10 gallons per minute. GBE Packaging stocks shipping envelopes and mailers in multiple sizes and variety of protection features you need for your important shipments. We have some of the most popular envelopes and mailers for you to choose from. Please allow us to make some suggestions if you need envelopes or mailers. We have Postal Approved Self-Sealing Envelopes and Postal Approved Mailing Bags that meet USPS mailing specifications, are automation compatible, and have peel-and-seal flaps. Envelopes are used to help keep organized or to hold items to mail. We have a large selection of Tear-Resistant Envelopes, Puncture-resistant material can be used for packaging and shipping items such as fabric, wallpaper, or long parts. If your business ships products to consumers, or B2B then you know that the success of your business depends on your products arriving intact. Choosing the right packaging for the job could be the difference between customers making return orders or just making returns. We offer the best quality plastic mailers, paperboard mailers, bubble mailers, mailing tubes, Tyvek Mailers and more! There are lots of choices when it comes to shipping and mailing envelopes. 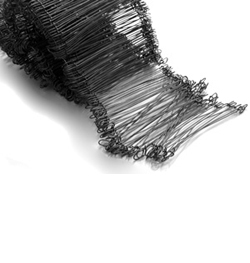 Spun-bond material is virtually indestructible. Won’t rip, puncture, or burst. Resists water and chemicals. Padded envelopes and mailers can minimize freight cost and protect your products by reducing damage en route also reducing your return rate for damaged orders. They also allow overstuffing and accommodate larger, more flexible items, such as those promotional hats and T-shirts you need to ship out today. Our selection of envelopes and mailers allows you to send business documents, certificates, warranties, and more reliably. Whether you are shipping paper work, printed matter, apparel, books, confidential documents, perishables or fragile products, we've got you covered. These mailing envelopes are designed to remain sealed until they get to their intended location even if you are shipping bulky craft items. Among this selection, you'll find strong, moisture resistant, protective mailers and more sturdy mailing options for every use. 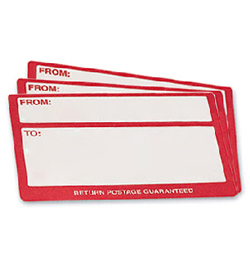 Some mailers and envelopes are available with clear windows to display the recipient's address, so you can avoid writing addresses or printing labels if you are mailing invoices. Some of our mailing envelopes are self-sealing. Whether you're promoting a new business, sending samples, or reaching out to your long-standing clients or contacts, maintaining a professional appearance is always a good choice. Ensure each mailer looks neat and is securely sealed by using peel-and-stick envelopes that are pre-printed with address areas. Some companies will tape the mailer for safety. You can stick on shipping labels with your and your recipients addresses, or hand write them for a more personal touch. Our stayflat or paperboard mailers can protect photo's while mailing or help prevent CD's, DVD's photos and letters from getting bent or damaged in transit and guard against water damage if your shipment is exposed to rain or snow. We have a complete assortment of mailing tubes and long and narrow gusseted mailing bag in kraft brown (2 ply) is an inexpensive alternative to mailing tubes. These two-ply, 70-lb. kraft paper bags have gussets and sewn bottoms for added strength. The bags are accepted by UPS. They are lightweight and use less storage space than tubes. Many of our mailers are tamper evident, waterproof, tear resistant and self sealing to make use easy and fast. Our anti static mailers are perfect for computers and computer parts, video cards, memory chips, memory ram, and repair or replacement components for various equipment. Since they are insulated and fitted with two layers of soft polyurethane foam to protect against static and shock damage they are perfect for light bulbs and sensitive components. Anti-Static Protective Box provides complete Faraday Cage protection and safely protects static sensitive items during shipping and transport. Corrugated mailers in both white and kraft and with many sizes to choose from which are perfect for any product and the box offers added protection and a nice professional look to your product. Corrugated mailers can be used for document protection and to box stationary or printed matter. Print shops and tool & die shops love to use corrugated mailers for the small jobs or parts that do not need a full size regular shipping box. Mailers are used for apparel or clothing items like hats, gloves, scarves, sheets or blankets, homemade crafts and small electronic devices. Corrugated mailers are easily labeled and can be taped closed and some of our mailers are the deluxe lock style that have a tuck in lip to secure the box closed. They are ideal for packaging artwork, photos, picture frames, and mirrors. We have jumbo mailers for very large products or they can be used as job tickets or to hold large projects in the office. Reverse tuck boxes are lightweight boxes made from chipboard that are available in white or kraft and also give your product a new level of protection and design. Many of the products we offer are Environmentally Friendly Products and are good for the world and ecology in general. Climate change is going to change the way we do things even with packaging supplies we need to find products that are friendly to our environment. These products, according to the Environmental Professionals Network, “provide benefits for the people economically, socially, and environmentally, while preserving the public health. People who are using these products are helping to reduce pollution and contamination of the air, water, soil, and much more. Choosing eco-friendly products is not just a fad, nor has the economic downturn slowed the trend. A 2009 study by nonprofit research group Green Seal and EnviroMedia Social Marketing found that about four out of five people said they bought green products despite the recession or higher costs. One popular environmentally friendly product is Biobag Compostable T-Shirt Bags. Perfect for grocery, health food stores, and pet stores, these environmentally friendly shopping bags can be used to bring home your groceries and then reused for compostable waste. 100% compostable corn-based alternative to traditional poly bags. Environmentally Friendly Tote Bags with Die-Cut Handle have a d2w additive that helps to reduce volume in landfills. These bags have reinforced handles for added strength. Perfect for trade shows, conventions, or retail stores for travelers for storing toiletries such as body lotion, comb and brushes, contact solution, face cleanser. Many of our products are environmentally friendly and that's good for everyone. We have environmentally friendly loose fill, (packing peanuts) which is a starch-based fill that is just as effective as polystyrene but without the disposal problems. Completely water soluble, it breaks down instantly on contact with water without leaving toxic residue. Reusable and static-resistant with no CFCs. Again it's good for our environment. Talk about zipper bags? We have environmentally friendly zipper bags for parts and food that are good for the environment. Minigrip greenline zipper bags (2 mil) is an environmentally friendly bags meet ASTM D5511 for disposal of these bags in anaerobic solid-waste-treatment plants. These are premium zipper bags that are made of low density polyethylene and meet FDA and USDA specifications for food contact. We also have Environmentally Friendly Low Density Flat Poly Bags. These environmentally friendly low density bags have an EPI additive to help reduce volume in landfills. The bags can be heat sealed to close and are perfect for flat products, books, pads, magazines, brochures, and other printed matter. Environmentally Friendly Kitchen Supplies, Compostable Cold Cups, Compostable Hot Cups and Compostable Straws & Accessories. We stock compostable cold beverage cups and renewable resources. Printed green stripe message wraps around cup. Compostable Hot Beverage Cups are made with a vegetable-based inner lining that holds hot liquids and prevents leaking. Compostable Hot Beverage cup sleeves are made of 100% recycled material. Textured kraft paper helps with gripping cup and provides thermal protection to hands while holding hot beverages. We also stock compostable plates and bowls as well as environmentally friendly cups. Our round compostable bagasse plates and bowls are 100% compostable and good for the environment. These strong and sturdy plates and bowls are made from sugarcane fibers and hold up when used with hot or cold foods. They will compost in a commercial facility in 45-60 days. They are Certified by the Biodegradable Products Institute and meets ASTM D6868 specifications for composting. We have paper plates that are environmentally friendly and are a great addition to any lunchroom for businesses, plants, daycares, and schools. The plates can be used in the microwave to heat lunch entrees. Gift Boxes - Gift Bags and Gift Wrap. GBE Packaging is a leading industrial and retail packaging company. Established in 1998 as Gift Basket Expressions, we have grown into one of the low price leaders on the Web. Shop a huge inventory of unique gift bags, gift boxes & gift wrapping supplies to fill all your gift wrapping needs and then some. Choose the perfect gift wrap and the perfect gift bag from our selection of stylish and elegant wrapping supplies. One of the best things about receiving a gift is the anticipation of imagining what might be inside and then getting to open it. Gift bags are a festive choice for any occasion! A great start to any gift, top with tissue paper or paper shreds for a whimsical touch — also great for decorating, coloring, and stamping. Ideal addition to gift-wrapping stations, or for resale in gift shops. It's a perfect profit center in a retail environment. Gift boxes are the perfect packaging for any product, they come in all shapes and sizes to meet any need. Gift boxes offer more protection then a typical gift bag and have the added benefit of stacking nicely, and you can use colored tissue paper or colored mylar as box filler. One of the best things about receiving a gift is the anticipation of imagining what might be inside and then getting to open it. A present needs to be wrapped. Otherwise you're just handing someone an object. There are so many ways to make your gift unique, check many of the blogs about gift prep or gift wrapping. We also have crinkle cut paper, wrapping paper, bubble and packing peanuts to use as void fill in your gift boxes or gift bags. We also stock Bakery boxes, Bakery pads, bakery bags, and many of the accessories to go along with them. We also stock stretch loops, twist ties, and a large assortment of poly gift bags or poly food bags and paper food bags. If you are packing many gift boxes you might want to consider clean newsprint paper or kraft wrapping paper as box filler. Tissue paper looks great but it takes a lot to make a stable box filler and protect your contents. Quality Hair Nets and Beard Covers. Hair nets and beard covers, scrub caps, and hats are used in work environments to cover hair in place and prevent hair particles from falling into the work area. 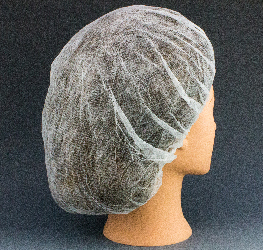 A beard or hair net, also known as a bouffant cap, is a hair cover that is commonly required in food service workplaces as a food safety precaution, but may also be used in clean-room facilities such as semiconductor or printed circuit board manufacturing, as well as in the medical industry or doctors offices and surgical centers or settings. These hair coverings are commonly made out of spun-bound polypropylene or nylon and are latex-free to avoid allergic reactions. Whether you're running a company barbecue, or making food products for sale make sure all personnel who handle food in your enterprise are wearing proper beard covers and hairnets. These convenient, disposable nets keep head and facial hair from coming into contact with food, cooking products, preparation utensils and surfaces. How do you keep food prep clean and organized? Hairnets, bouffants and beard covers prevent contamination in sanitary environments. They are commonly used in the food service industry, medical, hospitals, luch rooms, and cafeteria's, or manufacturing industries. Hairnets and bouffants cover workers' scalps. Hairnets are typically made of lightweight mesh that gathers and secures hair to prevent contamination. Bouffants are larger than hairnets and are made of solid materials like nylon and polypropylene. They are often used in clean rooms to secure loose hair and protect the scalp and skin from fluid splashes and other contaminants. Beard covers protect a worker's face and neck from dirt or fluid splashes and prevent loose hair from contaminating the environment. Beard covers run just under the nose or mouth down to the neck. They fasten to a worker's ears via elastic loops. They do not cause any difficulty breathing and workers quickly get use to them. Nylon Mesh Hair Net reduces the potential for product contamination from stray hairs. The elastic band helps keep net in place. Widely used when working in food processing plants, hospitals, and manufacturing industries, and breweries. Fabric Caps cover hair to help maintain hygienic conditions. 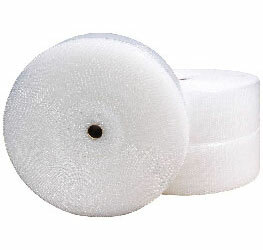 White non-woven polypropylene caps with plastic stretch bands fit comfortably and securely. Our disposable white hair nets are used again to protect your hair from splash and to keep hair out of your eyes and away from food products, electronics, manufacturing area or work station. Ideal for food processing, electronic assembly and pharmaceutical manufacturing or general industry. Also ideal for packing boxes or bags, cleaning, and so much more. They are not liquid proof. We offer a large selection of Heat Sealers & Replacement Parts. You can search many types of Constant Heat Sealers, HandHeld Constant Heat Sealer, Impulse Heat Sealers with Cutting Blade, Impulse Heat Sealers with Flat Elements, Impulse Heat Sealers with Foot Pedal and Impulse Heat Sealers with Round Trim-and-Seal Element. Constant Heat Sealers with Foot Pedal designed for high-volume applications. Foot pedal control frees up hands for faster production. HandHeld Constant Heat Sealer is a lightweight, portable sealer and ideal for sealing polypropylene and polyethylene bags up to six inches wide and up to 6 mil thick. 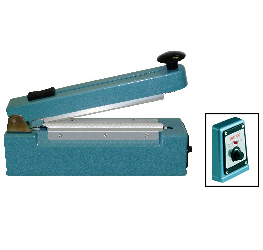 Impulse Heat Sealers with Foot Pedal flat element is all-in-one solid steel pedestal unit for high-volume sealing. 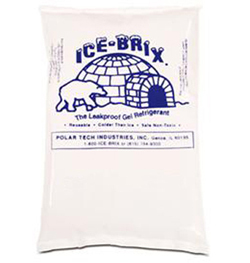 We offer a large selection of Ice-Brix Cold Packs. You can search many types of Hard Ice Packs, Ice-Brix Cold Packs, Re-Freez-R-Brix Cold Packs and Rubbermaid Reusable Flexible Ice Blanket. Hard Ice Packs is reusable ice pack contains non-toxic Perma-Gel. Hard outer case is made of high-density polyethylene to provide superior performance in cold applications and keep products colder, longer. 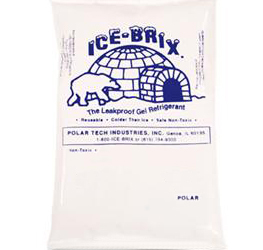 Ice-Brix Cold Packs are leak proof and safe for use with food products. Keep perishables at a constant cool temperature for days when used with a properly insulated shipping container or box. We offer a large selection of Industrial & Shipping Room Supplies. You can search many types of Anti-Slip Pallet Paper, Batteries, Container Seals, Dunnage Bags & Tools, Edge Protectors, Fiber Drums, Flashback Three Light Batons, Hand Trucks & Dollies, Heat Sealers & Replacement Parts, Loading Dock Equipment, Moving Blankets & Pads, Pails & Lids, Pallet Supplies, Pallets, Plastic Drums & Pumps, Safety Apparel, Safety Fence, Scales, Scissors and Shrink Wrap. Anti-Slip Pallet Paper increases pallet stability by keeping products from accidentally sliding off of a pallet and helping prevent load shifts and damage to product. Duracell Coppertop Batteries have Duralock Power Preserve Technology to provide dependable, long-lasting power. Fiber Drum is for store and ship dry or solid products safely. Metal cover and steel rings support drum. Can be used with liners for temporary food storage. We offer a large selection of Insulated Shipping Boxes and Cold Packs. You can search many types of EPS Foam sheets, Hard Ice Packs, Hot / Cold Thermal Bags, Ice-Brix Cold Packs, Insulated Styrofoam Shipping Boxes - Special Pricing, Re-Freez-R-Brix Cold Packs, Rubbermaid Reusable Flexible Ice Blanket and Thermal-Shield Insulated Box Liners. EPS Foam sheet Use to protect contents from damage and keep them stable during the shipping cycle. Line boxes with foam sheets to provide better support for delicate and temperature sensitive items. Hard Ice Packs is reusable ice pack contains non-toxic Perma-Gel. Hard outer case is made of high-density polyethylene to provide superior performance in cold applications and keep products colder, longer. Thermal-shield insulated box liner designed to protect temperature-sensitive products. Thermal-Shield is flexible, leak resistant, and will not crumble, crack or break. Its lightweight reflective surface provides resistance against three types of heat flow: conduction, convection, and radiation. 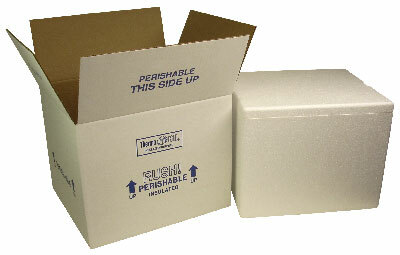 We offer a large selection of Insulated Styrofoam Shipping Boxes. You can search many types of Insulated Styrofoam Shipping Boxes, Insulated Styrofoam Shipping Boxes - Special Pricing and Thermal-Shield Insulated Box Liners. 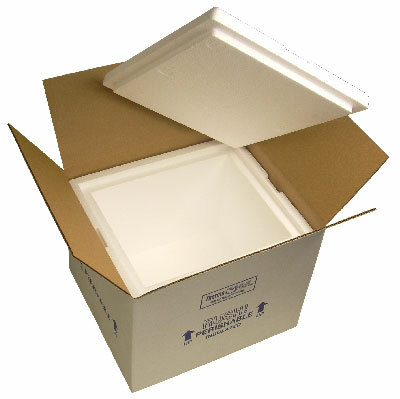 Insulated Styrofoam Shipping Boxes are great for chocolate, meats, sausages, cheese, as well as seafood, fish, shrimp, lobster, crabs, and more. Add our freezer packs and your shipment will keep its cool longer. Thermal-shield insulated box liner designed to protect temperature-sensitive products. Thermal-Shield is flexible, leak resistant, and will not crumble, crack or break. Its lightweight reflective surface provides resistance against three types of heat flow: conduction, convection, and radiation. We offer a large selection of Janitorial Supplies. You can search many types of Automotive Floor Mats, Automotive Seat Covers, Automotive Steering Wheel Covers, Batteries, Can Liners, Carpet Sweeper, Cleaners, Compressed Air, Containers, Bottles, Jars & Funnels, Corrugated Trash Container, E-Z Foldz Step Stools, Garbage Liners, Gloves, Hand Soaps & Sanitizers, Hand Trucks & Dollies, Kitchen Supplies, Pails & Lids, Personal Protection Wear, Recycling Containers and Restroom Supplies. Automotive Floor Mats paper can helps and protect vehicle floors from dirt, grease, spills, and other shop fluids. 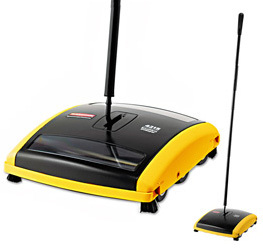 Carpet Sweeper has 7-1/2" sweep path and works well on smooth floors and carpeting. Natural boar brush for fine cleaning and crimped nylon brush for heavy debris. Hand Sanitizer Economy Size kills 99.99% of most common germs. The proper use of this sanitizer reduces the rate of healthcare-acquired infections by 30.4%. You do not need to rinse and the sanitizer will not dry hands. We offer a large selection of Labeling Products. You can search many types of Badge Holders, Carton Mask-Out Paint, Damage Indicator Labels, Label Protection Tape, Labels, Laminators and Pouches, Magnetic Roll Stock with Writing Area, Magnetic Vinyl Envelopes and Markers. The vinyl name badge holders are made of 8 gauge vinyl. Pocket holds card for clear display of identification. Holder fits most badge inserts (not included). Can also be used to carry smaller important papers such as annual reports, blue books, certificates, charters, company reports. Retractable Badge Reel has a 24" cord length, reinforced vinyl strap to hold ID cards or ID holders, and a belt clip. Marsh Carton Spray Paint save money by making used cartons look good-as-new. Dries fast without running, and won't flake or peel. Spray Paint Can Handle for spray paint cans prevents messes! Snap-on plastic spray handle with easy-action trigger allows for even, continuous spraying. Great for use with carton mask-out paint. 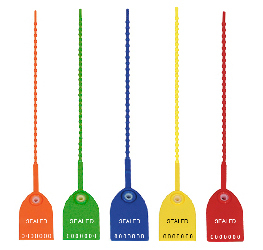 Colored Paper Tags with/without Wire Tie is available in multi-ply tags and includes metal eyelets. These heavyweight 13 pt. cardstock tags have fiberboard reinforced hang holes that will resist tearing. We offer a large selection of Labels. You can search many types of Address Labels, All-Purpose Colored Rectangular Labels, Anti-Static Warning Labels, Direct Thermal Labels, Do Not Double Stack Labels and Fluorescent Red Flame-Shaped "Hot" Label. The Address Labels are pressure-sensitive labels for easy application on a variety of surfaces. Great for labeling shipped craft items such as craft sticks, craft foam, glitter, wiggle eyes, pipe cleaners, scrapbook stickers, glue dots. The All-Purpose Colored Rectangular Labels are great for organizing your craft items such as craft sticks, craft foam, glitter, wiggle eyes, pipe cleaners. We offer a large selection of Liners & Covers. 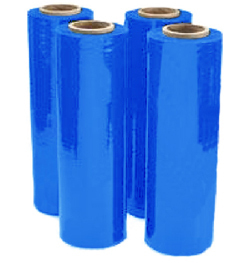 You can search many types of Covers, Flat Sheets & Poly Film, Liners and Woven Blue Poly Tarp. Extra-Large Covers & liners with UVI can conceal and protect contents during shipping, construction, or storage. Perforated on rolls for fast, easy dispensing. Furniture and Storage Covers protect furniture and valuable equipment from dust, dirt, and moisture during shipping or storage. Woven blue poly tarp is laminated with second layer of poly on both sides to repel water, and resist tearing, ultraviolet light, and mildew. We offer a large selection of Mailing Envelopes. You can search many types of Business Envelopes, CD/Disk/Video Mailers, Corrugated Mailers, Dura-Bag Mailers, Eco-Shippers, Flat Mailers, Jumbo Kraft Easy-Fold Corrugated Mailers, Kraft Paper Envelopes, Long and Narrow Mailing Bags, Mailing Tubes, Padded Mailers, Paper Window Envelopes, Paperboard Mailers, Poly Mailers, Postal Approved Clear Envelopes, See-Through, Stayflats Mailers, Tamper Evident Security Envelopes, Tear-Resistant Envelopes and Tyvek Envelopes. Business Envelopes is ideal for mailing invoices, letters, and other documents. Moisten adhesive on flap to seal. Gummed Flap Double Window Security Tinted Business Envelope with double window is ideal for mailing invoices, letters, and other documents requiring two windows. 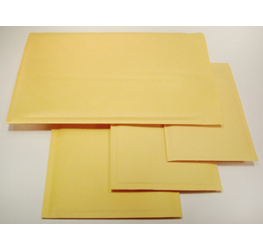 Eco-Shipper Flat Peel-and-Seal Mailer is a tough, non-padded shipper used to protect paper documents, clothing, and parts. We offer a large selection of Moving Blankets & Pads. You can search many types of Doorjamb Protector and Moving Blanket. 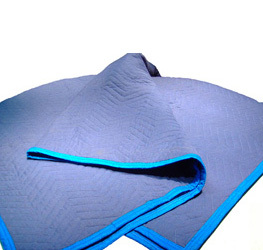 Doorjamb Protector is padded blue quilted fabric surface helps prevent damage to doorways and items being moved. Moving Blanket protects items from scratches and nicks during transport. Premium style, with 10% more batting than standard blankets, is quilted with lock stitching, finished corners, and two-inch binding on all four sides. We offer a large selection of Office Products. 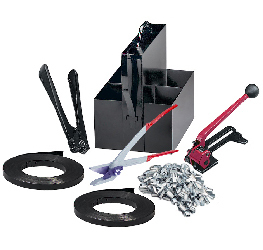 You can search many types of 3 Ring Binders, 3-Ring Sheet Protectors, Badge Holders, Batteries, Calculators, Compressed Air, Cork Boards & Pushpins, Document & Media Protectors, E-Z Foldz Step Stools, File Folders, File Jackets, File Storage Boxes, Hand Trucks & Dollies, Laminators and Pouches, Mailing Envelopes, Markers, Moving Blankets & Pads and Multipurpose Copy Paper. Three-ring clear vinyl sheet protectors (5 gauge) is no more hole punching! Ideal for sales presentations, photos, or reports. Canon LS100TSG Calculator is a solar powered calculator and has battery backup for added security and an angled display for better visibility. Casio MV210 Calculator is a solar powered calculator and has a battery backup, independent memory, and a large dual display. Sharp EL334TB Calculator is solar powered calculator with battery backup has a 10-digit display and kickstand. We offer a large selection of Pallet Supplies. You can search many types of Dunnage Bags, Pallet Bands, Pallet Cones, Pallet Strapping, Pallet Wrap and Stretch Wrap Cutter. Kraft Dunnage Bag takes less than two minutes to inflate. Stabilize and cushion shipments with poly-lined inflatable kraft bags. Rapid-Fill Inflator Tool for Kraft Dunnage Bags has built-in gauge to prevent air overfill and operates with most warehouse air compressors. Pallet Band made of pure gum to stretch 200-300%! Secure poly covers and tarps over pallets. Stretch wrap cutter is lightweight, easy-to-use tool quickly cuts through stretch wrap, twine, bubble, and foam. Recessed angled blade protects user and merchandise from accidental cuts. We offer a large selection of Pallet Wrap. You can search many types of Blown Stretch Wrap, Cast Stretch Wrap, Covers, Dunnage Bags, Edge Protectors, Giant Poly Shrink Bags & Film, Heavy-Duty Shrink Bundling Film, Narrow Bundling Wrap, Narrow Cast Stretch Wrap, Pallet Cones & Bands, Pallet Netting, Pallet Supplies, Pallets, Stretch Wrap Cutters and UVI Shrink Film. Kraft Dunnage Bag takes less than two minutes to inflate. Stabilize and cushion shipments with poly-lined inflatable kraft bags. Rapid-Fill Inflator Tool for Kraft Dunnage Bags has built-in gauge to prevent air overfill and operates with most warehouse air compressors. 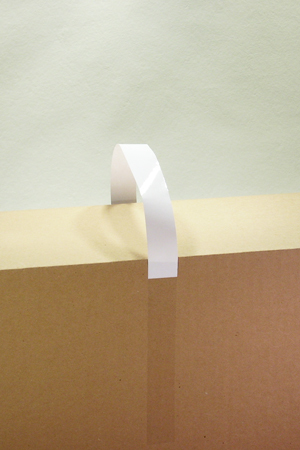 Heavy-Duty Paperboard Edge Protector can simply cut to desired length. Laminated protectors prevent load shifting and strap damage. Inventory Control Cones great for use in warehouses, logistics departments, manufacturing, distributing, and printing industries. Colored Narrow Cast Stretch Wrap ideal for color coding inventory and palletized shipments by priority, date, destination, etc. Our Brand Narrow Cast Stretch Wrap has less expensive than premium stretch wrap, tape, string, or strapping. Marine/Industrial UVI Shrink Film with UVI additive protects pallet loads from the sun for up to nine months. Waterproof film resists punctures and tears. 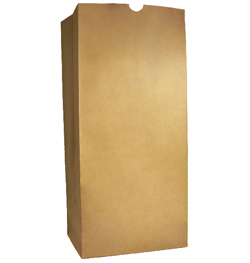 We offer a large selection of Paper Bags. You can search many types of Bread Bags, Flat Merchandise Paper Bags, Grocery Paper Bags with Flat Handles, Gusseted Glassine Bags, Kraft Biodegradable Lawn and Leaf Paper Bags, Kraft Paper Evidence Bags, Paper Bags with Die-Cut Handles, Paper Bags with Handles, Paper Grocery Bags, Poly-Lined Gusseted Paper Bags and White Paper Pharmacy Bags with Printed Message. Bread Bag with Window and Printed Message is for displays and stores fresh bread! Choose from a variety of gusseted styles. Use kraft bags with window to store and display bread in an eye-catching way. Merchandise Paper Bag is made from recycled paper and designed to protect greeting cards, stationery, office supplies, clothing, candy, and party favors. Kraft Plain Biodegradable Lawn and Leaf Paper Bag is two-ply, heavy-duty, craft paper that reduces rips and tears and is environmentally friendly. These self-standing bags are available with or without print. 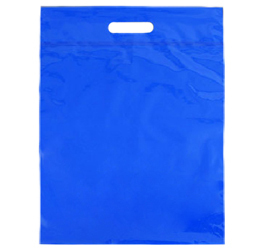 We offer a large selection of Plastic Bags. You can search many types of Anti-Corrosion Bags, Anti-Static Bags, Apparel Bags, Bags on a Pad, Bags on a Roll & Bags for Autobag Machines, Bags with Hang Holes, Bags with Suffocation Warning, Bakery Bags, Barrier Bags, Bottom Loading Bags, Bubble Bags and Cellophane Bags. These types of poly bags use to protect any ferrous surfaces that could corrode or rust over time, especially during shipping or storage or when parts are waiting for the next step of the process on assembly lines. Cellophane Bags with Gusset are perfect for packaging snacks and treats such as candies, cookies, brownies, party favors and much more. They can also be used to package special gift items, toys and promotional material. 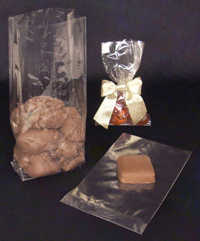 Flat Cellophane Bags are perfect for packaging snacks and treats such as candies, cookies, brownies, party favors and much more. We offer a large selection of Poly Film. You can search many types of Anti-Static Low Density Poly Film, Covers and Flat Sheets & Film. Anti-Static Low Density Poly Film can create custom packaging for seamless 4' or 6' widths. Great for wrapping and shipping any fragile items such as china, porcelain, crystal, glass, silk. The covers are perforated on rolls for fast, easy tear-off. Automotive Floor Mats paper can helps and protect vehicle floors from dirt, grease, spills, and other shop fluids. Automotive Seat Covers can reduce cleanup costs by protecting vehicle seats from grease and other contaminants. Extra Large Embossed Flat Poly Sheet is precut for your convenience! Protect machinery, furniture, and building materials during storage or construction. 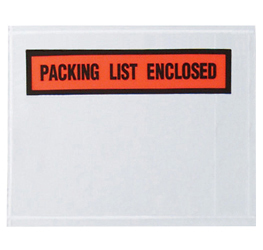 We offer a large selection of Press-on Packing List Envelopes. You can search many types of High Tack Press On Envelopes, Packing List Pouch Tape, Press-on Zipper Bags, Printed Press on Packing List Envelopes, Un-Printed Press on Packing List Envelopes, Vinyl Press-on Envelopes and White Opaque Press On Packing List Envelopes. High Tack Back-Loading Printed Press-on Envelope use to peel and stick to secure shipping and invoice information to packages. Super high tack adhesive easily adheres to older, reused boxes. White opaque back-loading printed press-on envelope - "packing list enclosed" can just peel and stick on back-loading envelopes to protect invoices and shipping documents. Pressure-sensitive adhesive sticks aggressively to paper, metal, wood, corrugated, or plastic. Mesh Bags for Produce and other Products! 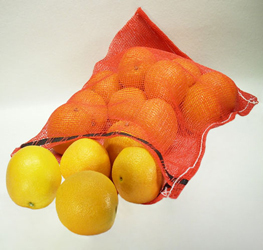 Strong, woven polypropylene bags that are durable enough to hold apples, grapefruit, oranges, onions, potatoes, and other produce. 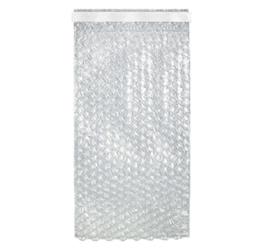 We have mesh bags in several sizes to fit your needs. 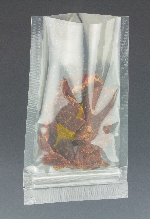 Now everyone can use mesh bags for produce or other products, we have mesh bags in several sizes to fit your needs. 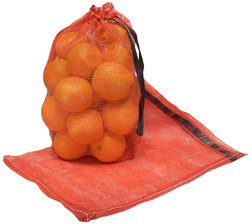 Our mesh bags are made from strong, woven polypropylene and these bags are durable enough to hold apples, oranges, onions, potatoes, and other produce. Also perfect for used golf balls, clothing packs, fire wood, bark, mulch, pine cones, and organic chips are just a few things that come to mind. Mesh produce bags feature a black drawtape that can be pulled tight and tied for easy closure. We offer a large selection of Safety Clothing. You can search many types of High Visibility ANSI Class 2 Safety Vests, High Visibility Fluorescent Orange Baseball Hats, High Visibility Fluorescent Orange Knit Beanie Hats, High Visibility Fluorescent Orange T-Shirts, Rain Ponchos, Rain Suits and Safety Vests - High Visibility. 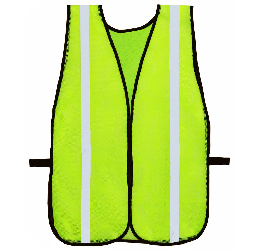 High Visibility ANSI Class 2 Safety Vests is high visibility polyester mesh vest and available in fluorescent green. 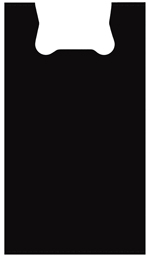 Reflective band around torso and over each shoulder increases visibility. Rain Ponchos helps to keep you dry in wet weather. Individually packaged and fits neatly into your glove box or toolbox. Safety Vests - High Visibility is made of 100% polyester. Ideal for non-roadway construction, yard maintenance, and parking lot maintenance workers. We offer a large selection of Safety, Medical & Law Enforcement Supplies. You can search many types of Biohazard Disposal Containers, Biohazard Labels and Carton Sealing Tape, Bloodborne Pathogen Kit, Cadaver / Disaster Bags, Cold/Hot Packs & Compresses, CPR Lifeshields, Dental Products, Exam Room Supplies, First Aid, Gloves, High Visibility Safety Clothing, Law Enforcement Products, Personal Protection Wear, Safety & Medical Bags, Safety Marking Products, Sharps & Syringe Containers, Sorbents, Spill Control, Traffic Safety Cones and Wire Stake Flags. 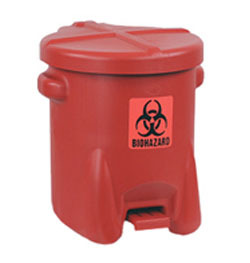 Biohazard Disposal Containers includes biohazard label to alert workers to the presence of harmful materials. The container has molded plastic side handles to make transporting easier. Disposable Instant Cold Pack provides fast relief from minor swelling, sprains, and strains. Cold Packs are leak proof and safe for use with food products. Keep perishables at a constant cool temperature for days when used with a properly insulated shipping container or box. Safety Zone First Aid Kit includes an assortment of gauze pads, bandages, and other first aid components, individually boxed for easy access.Pain Reliever is a trusted name in non-prescription medicine. Identifiable box dispenses 2-tablet doses. Wire stake flag is a mark utilities, sewers, landscaping boundaries, soil types, and rows. Attached to metal stake, vinyl flag is tear resistant even in high wind conditions. Sandbags, woven polypropylene parts and shipping bags, pound for pound polypropylene is stronger than steel, and when woven into a fabric it creates a lightweight, durable bag suitable for heavy or oversized parts or supplies. Suitable for heavy or oversized parts and supplies. Bags can also be used as sandbags for landscaping or flooding emergencies. These bags are excellent for the packaging and shipping of dry goods because of their superior strength and puncture resistance due to their woven construction. Woven polypropylene bags with attached tie-string, a simple, but effective way to prevent surface scratches or dings on sensitive parts, metal molds, and valves during transport. Puncture and tear-resistant woven bags provide protection from many shipping hazards including protection from ultraviolet rays. Suitable for heavy or oversized parts and supplies. Sandbags are super strong and have 1600 hours of UV protection without disintegrating and make excellent sand-filled flood barriers. These woven cloth shipping bags are often used to protect critical plumbing valves and steam engine parts, hard to replace special order items in transit require something stronger than your typical plastic parts bag. That is where heavy duty woven polypropylene bags come to play. They can safely protect parts that normally would rub and wear right thru a heavy-duty 1-4 Mil poly bag. Bags can also be used as sandbags. 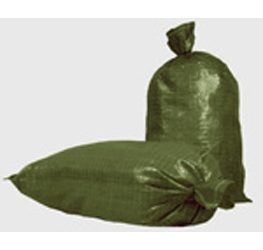 Our tough woven polypropylene bags are excellent for use as sandbags in flooded areas and are strong enough for temporary wall, berm, trench and levee construction. Material: Woven Polypropylene- with Attached Tie-String. 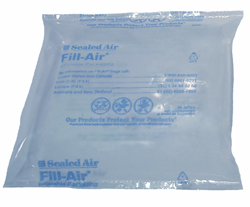 We offer a large selection of Sealed Air Products. You can search many types of Instapak Quick Foam Packaging System, Poly Foam Roll Stock, Sealed Air Bubble Bags, Sealed Air Bubble Roll Stock, Sealed Air Cushioning and Sealed Air Mailers. Instapak Quick Foam Packaging Bag is an economical and easy-to-use foam-in-bag system saves time. Protect fragile shipments with custom cushioning that expands and forms around contents. 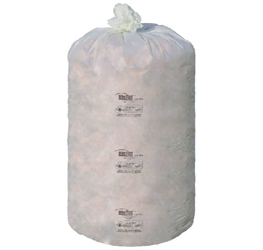 Sealed Air Instapak Quick Room Temperature Foam Packaging Bag ideal for mailrooms. It is home based businesses, and internet businesses looking for supreme product protection without investing in warming equipment. Cell-Aire Anti-Static Poly Foam will not generate a charge during handling and conforms to any shape. The non-abrasive polyethylene foam is clean and lightweight, no CFCs or HCFCs, and provides excellent thermal insulation. We offer a large selection of Shopping Bags. You can search many types of Canvas & Non-Woven Polypropylene, Paper Shopping Bags and Plastic Shopping Bags. Canvas & Non-Woven Polypropylene bags with handles can be used for grocery shopping and when your done shopping throw in your towels and head for the beach. Paper Bags with Handle is strong, twisted paper handles are anchored to 60-68 lb. reusable, high end paper bags. Environmentally Friendly Tote Bags with Die-Cut Handle have a d2w additive that helps to reduce volume in landfills. These bags have reinforced handles for added strength. Perfect for travelers for storing your toiletries such as body lotion, comb and brushes, contact solution, face cleanser. Safety Seals, Security Seals or Bottle Seals, they all allow you to seal your own products with easy to use PVC Shrink Bands. PVC Shrink Bands, and PVC Shrink Bands with Printed Message. Place band over item to be covered and use heat gun to shrink band. It's that easy! Create quick tamper-evident seals for bottles, jars, and pharmaceutical items. Shrink band tamper security seals create a strong tamper proof protection seal. It is very easy to recognize that the products have arrived untampered with when using easy apply shrink bands. Make your products safe and acceptable for retail distribution. Shrink bands are pieces of plastic casing that wrap around bottles and jars to prevent tampering. 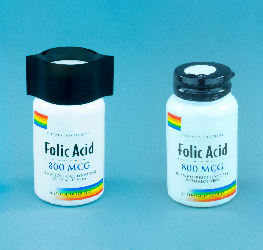 Their popularity grew in response to the product manipulating scare that Tylenol experienced in 1982, in which it is believed that someone in Chicago tampered with medicine bottles on store shelves. In an effort to warn and protect consumers, shrink bands were adopted. Our shrink bands are perforated for consumer-friendly opening and will not only help to keep products from being opened or opening and spilling, but will keep them air tight and fresh as well as secure. Shrink Bands can be easily applied by hand around the cap, neck, or cover of any container. Shrink bands are the cost-effective choice for securing caps, lids and closures with easily recognized tamper-evidence. A snug fit is achieved by applying heat with a heat gun, hair dryer or heat tunnel. The bands will shrink to fit in seconds. Shrink bands are ideal and cost-effective when tamper evident protection is needed for your products and these can be done in store, at home or in the office. Our seamless neck bands are available in clear, black or printed on clear PVC film. Product examples include: Oils and herbs, food products like peanut butter, various sauces and dressings, condiments, drum sticks, ball bats, prescription drugs, lip balm tubes, small boston round bottles, vials, roll on bottles, water bottles, home and garden, plant foods and many others. Larger bands can be used to bundle products together. We offer a large selection of Shrink Materials. You can search many types of Giant Poly Shrink Bags & Film, Heat Sealers, Heavy-Duty Shrink Bundling Film, Laminators and Pouches, Marine Shrink Tape, Marine/Industrial UVI Shrink Film, Pallet Netting, Polyethylene Shrink Tubing, Polyolefin Centerfold Shrink Film, Polyolefin Shrink Bags, PVC Centerfold Shrink Film, PVC Shrink Bags, PVC Shrink Bands, PVC Shrink Tubing, Shrink Bags, Shrink Film, Shrink Packaging Systems and Shrink Wrap Handles. 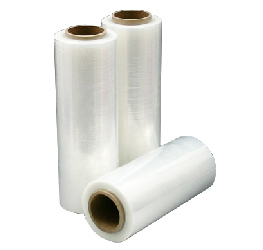 Gusseted Poly Shrink Bag is stronger than stretch wrap or banding and better protection against moisture, dust, and tampering. Five-sided coverage secures and protects everything from uneven palletized shipments to large machinery. 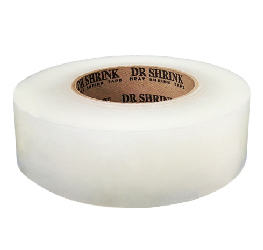 Marine Shrink Tape patches holes, tapes seams, and reinforces stress areas on shrink film. Shrink tape is designed to be used after the shrink film has already been shrunk. Polyolefin Centerfold Shrink Film creates strong, durable seals for general purpose applications. High gloss, great clarity, won't discolor or get brittle with age, and doesn't smell or smoke when sealing. We offer a large selection of Shrink Wrap. You can search many types of Exlfilmplus GPL Polyolefin Centerfold Shrink Film, Giant Poly Shrink Bags & Film, Heavy-Duty Shrink Bundling Film, Marine/Industrial UVI Shrink Film, Pallet Netting, Polyethylene Shrink Tubing, Polyolefin Centerfold Shrink Film, Polyolefin Shrink Bags, PVC Centerfold Shrink Film, PVC Shrink Bags, PVC Shrink Bands, PVC Shrink Tubing, Shrink Packaging Systems, Shrink Wrap Handles and UVI Shrink Film. Exlfilmplus GPL Polyolefin Centerfold Shrink Film are great for high-volume applications. Just insert item, heat seal shut, and shrink with a heat gun. Pallet Netting is unique, polypropylene open mesh construction allows complete coverage of pallet load while allowing contents to breathe. The Air Flow Prestretched Vented Wrap with extended core - hand grade perfect for wrapping cartons of food, produce, wood, or any item that needs to breathe. PVC Centerfold Shrink Film protects against dirt, moisture, and tampering. Superior clarity. It is easy to use - simply insert object between film folds, use sealer (if needed), then use heat gun to shrink material to form a tamper-evident package. We offer a large selection of Strapping Supplies. You can search many types of Dunnage Bags, Dunnage Bags, Pallet Bands, Pallet Cones, Pallet Strapping, Pallet Wrap and Stretch Wrap Cutter. Dunnage Bag takes less than two minutes to inflate. Stabilize and cushion shipments with poly-lined inflatable kraft bags. Rapid-Fill Inflator Tool for Kraft Dunnage Bags has built-in gauge to prevent air overfill and operates with most warehouse air compressors. Pallet Band made of pure gum to stretch 200-300%! Secure poly covers and tarps over pallets. Stretch wrap cutter is lightweight, easy-to-use tool quickly cuts through stretch wrap, twine, bubble, and foam. Recessed angled blade protects user and merchandise from accidental cuts. We offer a large selection of Stretch Wrap. You can search many types of Blown Stretch Wrap, Cast Stretch Wrap, Narrow Cast Stretch Wrap, Pallet Netting, Stretch Wrap Cutter, Stretch Wrap Handles, UVI Stretch Film and Wrap with Built in Handles. 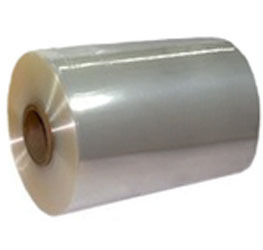 Blown Stretch Wrap blown film has excellent cling characteristics and provides extra strength for securing irregular loads for long-term storage. Narrow Blown Stretch Wrap with handle can puncture-resistant, narrow film have superior stretch and clarity, sticks to itself, and won't mar surfaces. Stretch wrap cutter is lightweight, easy-to-use tool quickly cuts through stretch wrap, twine, bubble, and foam. Recessed angled blade protects user and merchandise from accidental cuts. Stretch Wrap Systems is a strong, self-clinging stretch wrap helps secure pallet loads. Dispenser has black U-shaped handle and orange tensioning grip for easy application. We offer a large selection of Tags. You can search many types of Non-Paper Tags and Paper Tags. Paper Tags with 12" Wire Tie is available in multi-ply tags and includes metal eyelets. These heavyweight 13 pt. cardstock tags have fiberboard reinforced hang holes that will resist tearing. Paper tags is an economical alternative to nylon ties. Strings are wrapped 100 per bundle in precut 12" lengths for high-volume tagging applications. We offer a large selection of Tape & Adhesives. You can search many types of Anti-Static Cellophane Tape, Bag Closing Tape & Machine, Biohazard Labels and Carton Sealing Tape, Biohazard Printed Polypropylene Carton Sealing Tape, Carpet, Hard Surface & Window Protection Tape, Carry Handles, Carton Sealing Tape, Double Sided Foam Tape, Double Sided Paper Tape, Double Sided Transparent Tape, Duct Tape, Electrical Tape, Elmer's Glue-All, Evidence Tape and Filament Tape. Anti-Static Cellophane Tape comes with a pre-printed message. 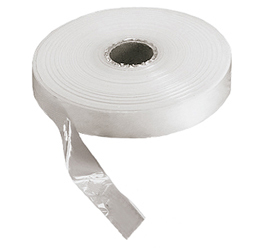 This static-free cellophane tape has a natural rubber adhesive and is perfect for use with static sensitive products. Biohazard Labels are pressure-sensitive to warn medical professionals and other bio hazard handlers of the risk of infection. Orange Biohazard Printed Polypropylene Carton Sealing Tape use for alerts medical professionals and others to handle materials with caution. Double Sided Paper Tape can applies with ease and resists tearing. Use for tacking down carpet, mounting pictures, hanging posters and signs, and even regripping golf clubs. We offer a large selection of Ties & Sealers. You can search many types of Bag Closing Tape & Machine, Bread Clips, Flip Clip Fasteners, Heat Sealers & Replacement Parts, Hook & Loop Ties, Netting Clips, Nylon Ties - Accessories, Rubber Bands and Stainless Steel Cable Ties. Bag Sealer sealer tape is all-in-one bag sealer ensures a quick, strong adhesive tape seal for bags and liners. Automatic trigger-action serrated edge cuts tape for you. Portable bag sealer tape for handheld, portable bag sealer. Bread bag clips - series A/0 is an alternative to twist ties or adhesive tape closure. Twist bag and attach clips by hand for closure. Outside dimensions are 7/8" wide by 1-3/8" high. Netting Clips are strong and professional looking. Just slide bag or tubing through loop clip to desired length and push cap over top to secure. Self-Locking Stainless Steel Cable Ties are exceptionally strong cable ties. They are an ideal solution for bundling and securing cables and wires. We offer a large selection of Tote Bags. You can search many types of Double Drawstring Poly Bags, Environmentally Friendly Tote Bags with Die-Cut Handles, Frosted Bags, High Density Embossed Merchandise Bags, High Density Flat Merchandise Bag with Die-Cut Handle, Hot-Cold Cooler Bags, Poly Tote Bag with Rigid Handle Or Bottom Gusset, Poly Tote Bag with Zipper and Die-Cut Handle, Poly Tote Bags with Die-Cut Handles, Poly Tote Bags with Patch Handle, Polypropylene Gift Bags with Handles, Single Drawstring & Drawtape Poly Bags, T-Shirt Bags and White High Density Restaurant Take-Out Bag. Double Drawstring Poly Bags has 100% cotton drawstring which closes the bag tightly. Perfect for attaching bags to equipment or parts, and also makes it easy for carrying products. Popular choice for retailers for packaging jewelry, cosmetics, and wrapped treats. High density restaurant take-out bag with large handle makes carrying easy. This bag is made with high density film for strength. The extra large bottom gusset allows the bag to stand alone while adding products and can accommodate a variety of food container sizes. Polypropylene Gift Bags with Handle is a popular bag which provide an attractive way to package your products. Strong, transparent bags feature a chipboard reinforced die-cut handle for easy carrying. We offer a large selection of Trash Liners. You can search many types of Biobag Compostable Liners on a Roll, Biotuf Compostable Bags, Black Linear Low Density Poly Liners on a Coreless Roll, Black Low Density Gusseted Poly Liners in a Dispenser Box - 1.5 Mil, Clear Low Density Gusseted Poly Liners on a Roll - 1.5 Mil, Contractor Bags, Drum Liners, Environmentally Friendly Low Density Clear Gusseted Can Liners, Glad Tall Kitchen Drawstring Trash Bags, Gusseted Salvage Drum Liners on a Roll - 6 Mil, Hazardous Waste Liners and High Density Color-Coded Poly Liners with Biohazard Message and Star Seal. Biobag Compostable Liners on a Roll is perfect for organic trash. Made from renewable raw materials of agricultural origin and non-genetically modified startch. Environmentally Friendly Low Density Clear Gusseted Can Liners have an additive that helps to reduce volume in landfills. These environmentally friendly low density liners offer the convenience of standard liners to those who are sensitive to environmental issues. The steel-flex linear low liner is a super-tough, premium liner for your roughest applications. A unique resin mix makes these liners stronger than regular liners. We offer a large selection of Tubing. You can search many types of Anti-Static Poly Tubing, Autoclavable Layflat Polypropylene Tubing on a Roll, Black Layflat Poly Tubing on a Roll, Bubble Tubing, Clean Room Layflat Poly Tubing on a Roll, Layflat Foam Tubing, Layflat Poly Tubing, Poly Tubing Dispensers, Protective Mesh Tubing, Shrink Film Tubing and VCI Anti-Rust Tubing. Anti-Static Poly Tubing makes custom-fit packaging in seconds. Simply cut the polyethylene tubing to desired length, insert product, then heat seal or tape shut. Great for storing screws, nuts, bolts, Allen wrenches, paint brushes, rope, sand paper. Zerust VCI anti-rust poly tubing is a convenient VCI packaging that is perfect for long skinny items such as pipes, engine parts, crank shafts and engine rods. Heavy-duty poly tubing resists tearing and protects contents from scratches. We offer a large selection of VCI Products. You can search many types of Anti-Corrosion Vaportabs & Vapor Capsules, Anti-Corrosion Wrapping Paper, Desiccants, Humidity Indicator Cards, VCI Anti-Rust Flat Bags, VCI Anti-Rust Gusseted Bags, VCI Anti-Rust Poly Film, VCI Anti-Rust Zipper Bags, VpCI Anti-Corrosion Flat Bags, VpCI Anti-Corrosion Zipper Bags, Zerust VCI Anti-Rust Poly Shrink Film and Zerust VCI Anti-Rust Poly Tubing. 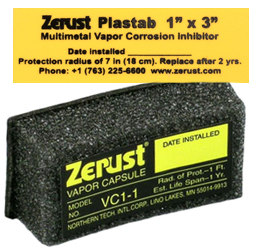 Zerust anti-corrosion vapor capsules are environmentally friendly and non-toxic, vapor capsules are ideal for protecting items inside of enclosures like electrical control boxes, tool boxes, tackle boxes and shipping boxes. VCI anti-rust flat poly bags contain proprietary chemical formulations that release an invisible, odorless, non-toxic rust and corrosion inhibiting vapor to prevent ferrous surfaces from rusting during shipping and storage. Zerust VCI anti-rust poly tubing is a convenient VCI packaging that is perfect for long skinny items such as pipes, engine parts, crank shafts and engine rods. Heavy-duty poly tubing resists tearing and protects contents from scratches. We offer a large selection of Wipers & Towels. You can search many types of Blue Huck Towels, Brawny Heavy Duty Wipers in a Dispenser Bucket, Brawny Wipers in a Dispenser Box, Clean Room Wipers, Heavy-Duty Wipers in a Box, Heavy-Duty Wipers on a Roll, Kleenex Hand Towels in a Dispenser Box, Microfiber Cloths, Our Brand Wipers, Paper Towels, Red Shop Towels in a Dispenser Box, Terry Cloth Towels in a Dispenser Box - 25 Lb., T-Shirt Rags in a Dispenser Box - White, White Terry Towels - 28 Oz. and Wypall Wipers. Blue Huck Towels is 100% cotton towels feature a tight weave and four-sided hem. 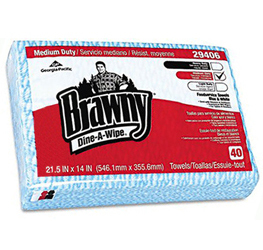 Brawny Wipers in a Dispenser Box use when absorbent, durable, disposable wipers are a must. Kimberly-Clark Dispensers for Wypall Wipers on a Roll is quickly and easily dispenses WypAll wipers on a jumbo roll. Efficient dispensing reduces waste. We offer a large selection of Wrapping Paper. You can search many types of Anti-Corrosion Wrapping Paper, Newsprint Wrapping Paper, Tissue Wrapping Paper and Wrapping Paper on a Roll. 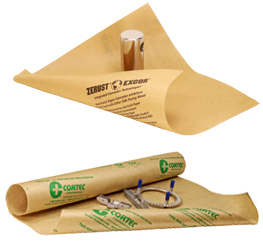 Anti-Corrosion Kraft Paper paper offers comparable protection of ferrous and non-ferrous metals from corrosion.Zerust VCI anti-corrosion kraft paper sheets protect ferrous and non-ferrous metals from corrosion and rust during shipping and storage. Zerust VCI Anti-Rust Poly-Coated Paper is a high performance corrosion inhibitor. Gift Grade Tissue Paper Sheet assortment pack contains 24 each of the popular colors: black, buttercup, cabernet, cerise, citrus green, dark pink, evergreen, french vanilla, holiday green, lavender, light blue, mandarin red, orange, parade blue, purple, scarlet, tan, turquoise, white, and yellow. Bright, eye-catching colored tissue makes your retail packaging stand out. GBE Packaging stocks a very large selection of zipper bags, we have put them in categories to help you find the right bag for your need. All of the zipper bags we carry are of the highest quality and guaranteed or your money back. Many of our zipper bags are perfect for food prep and storage. We have high clarity zipper bags as well as write on zipper bags and we feature slider zipper bags and bags that are recycled as well as bags with a hang hole and minigrip greenline zipper bags. We also have our brand of zipper bags to save you money. We also have colored zipper bags and anti-corrosion zipper bags, amber medical zipper bags and several styles of sample specimen zipper bags. Zipper bags with a triple layer of bubble and zipper bags with pouches, tie on zipper bags and zipper bags in a dispenser box. Whether you need clear zipper bags or colored zipper bags we have you covered. When it comes to packaging needs and zipper bags we have some of the best quality styles available. We only stock the best quality and your satisfaction is guaranteed. We have many of zipper bags that you can use to display your food products and more in style with our stand up zipper bags and hang hole zipper bags. Some of our zipper bags have a bottom gusset to also allow them to stand on a shelf and they are perfect for any product from foods to dry goods. We also have high clarity zipper bags which will show off your products like never before and far better than a low or high density bag. One item that is hard to find is our tie on zipper bags which are perfect for attaching paperwork to products like fire extinguishers or radio equipment, medical equipment, phone system peg boards and more. We also feature tamper evident bags that once sealed have to be torn open to gain access or our bottom loading zipper bags that are open at the bottom and you just fill the bag and heat seal it and you have a tamper evident sealed bag ready to label and sell. We have press on zipper bags too for box and pallet identification or holding important paperwork for your shipment. If you use high quantities of zipper bags you may be interested in our brand of zipper bags that are plain label but high quality and the price is right. We also have several styles of zipper bags in dispenser boxes for ease of use. We even have some shopping bags with zippers. Zipper bags with the recycle symbol and a vent hole.. Some of the zipper bags we offer include anti-Corrosion VCI Zipper Bags, Anti-Static Zipper Bags, Bottom Gusseted Slider Zipper Bags, Bottom Gusseted Zipper Bags, Colored Zipper Bags, Freezer Grade Zipper Bags, Hefty Slide-Rite Utility Bags, High Clarity Polypropylene Zipper Bags with Hang Hole, Medical - Specimen Zipper Bags, Minigrip Greenline Zipper Bags, Our Brand Slider Zipper Utility Bags, Our Brand Zipper Bags, Our Brand Zipper Bags with Recycle Symbol Print, Our Brand Zipper Bags with Write-on, Poly Tote Bag with Zipper and Die-Cut Handle - Clear, Polypropylene Zipper Bags with Bottom Gusset, Press-on Zipper Bags, Reloc Zippit Write-on Zipper Bags by Minigrip, Reloc Zippit Zipper Bags by Minigrip, Shopping Bags with Zipper, Slider Zipper Bags, Stand Up Zipper, Stand-Up Zipper Bags with Bottom Gusset and Tamper-Evident Zipper Bags. 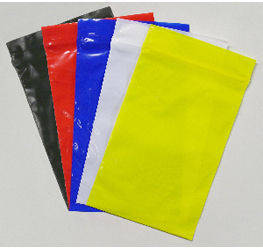 Anti-Corrosion Zipper Poly Bags are reclosable bags that provide a dust and moisture barrier in addition to a corrosion inhibitor. Zerust VCI anti-rust Zipper poly bags to protect any ferrous surfaces that could corrode or rust over time, especially during shipping or storage or when parts are waiting for the next step of the process on assembly lines. 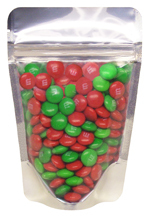 Colored zipper bag is custom printing bags that meet FDA and USDA specifications for food contact. Polyethylene bags with spot-welded zippers and securely sealed sides for added strength. Minimum Order: 1 Bag, Case or Bundle. Mini pak'r air cushion system machine is fast, easy to use, and saves on transportation and storage space. Simply plug in machine, select the style of cushioning desired, load film, and make up to 25 feet per minute of cushioning for void fill or wrapping. One machine produces up to five different styles of air cushion, sold separately. Machine fits on most tabletops or use the wall mount to save additional space. Wall mount is sold separately, call for details. 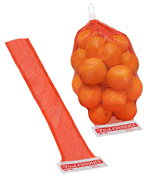 Red onion bag with header - (50/bundle) is perfect for packaging onions, oranges, or other produce. Soft, flexible diamond mesh provides air flow and visibility during storage. White header on individual bags states "Fresh Produce" and has space for weight, count, and pricing. Secure bags with white netting clips. Stand-up barrier zipper pouch with 2" bottom gusset (3.5 mil) is a quality barrier zipper pouch with 3/8" wide side seals on three sides and a resealable zipper under tear notches that can be heat or vacuum sealed. Extend the shelf life of items like pharmaceutical products, powdered mixes, photographic materials, foods, candies, coffee and much more. Thermal-shield insulated box liner is designed to protect temperature-sensitive products. Thermal-Shield is flexible, leak resistant, and will not crumble, crack or break. Ice brix cold packs - 3 oz. (192/case) is 5 x 2 reusable commercial grade freezer gel packs, leak proof and shown to be the coldest and best gel refrigerant available. The ultimate in refrigerant packs. 6" x 4-1/2" x 6-1/4" Insulated Shipping Box - Strong 200 Lb. test corrugated box is preassembled around a seamless tight fitting molded polystyrene body with lid that helps maintain a constant cool temperature. Re-freez-r brix cold pack - 7.5 oz. (42/case) in a Bag. These refrigerants are non-toxic, sealed in a heavy plastic pouch, and are rated the best in foam refrigerants. Prevent thawing… Keeps frozen products chilled for an extended period of time. Protect from warming… Keeps perishables requiring a temperature range of 32°F to 60°F at a safe, uniform cool temperature for over 14 days. Other products just don’t compare. RE-FREEZ-R-BRIX is a block of rigid foam that holds its shape frozen or thawed and is reusable. Stand-up barrier zipper pouches with clear front window and metalized back with metalized back allows products to stand out with a large window in the front and back of pouch is silver and have an easy-to-open tear notch. 6" x 5-3/4" x 7-3/4" Insulated Shipping Box - Strong 200 Lb. test corrugated box is preassembled around a seamless tight fitting molded polystyrene body with lid that helps maintain a constant cool temperature. Stand-up zipper pouch with 2" bottom gusset (3.6 mil) is easy-to-fill zipper pouches stand upright for display. Heat seal above tear notches for an attractive, easy-to-open, tamper-evident package. Meets FDA and USDA specifications for food contact and has 3/8" wide side seals on three sides. Call for details about custom sizes and styles. Usable dimensions are slightly smaller. Red mesh produce bag - 10 lb. (100/case) is strong, durable woven polypropylene bag have enough to hold 10 lbs. of onions, oranges, potatoes, and other produce. Black drawtape can be cinched and tied for easy closure. Tamper-evident evidence bag (3 mil) is a pressure-sensitive adhesive flap can creates tight seal that can only be cut or torn open. Record critical information in the white writing area. Convenient tear-off receipt simplifies record keeping and tracking. Red mesh produce bag - 25 lb. (100/case) is strong, durable woven polypropylene bag have enough to hold 25 lbs. of onions, oranges, potatoes, and other produce. Black drawtape can be cinched and tied for easy closure. Flat bottom-loading barrier zipper bag with 1" sealed header (3.5 mil) can be filled and sealed easily, just insert contents at bottom of bag, and heat, or vacuum seal to close securely. Tamper evident bag, must be cut along top of zipper or use side tear notches to open. 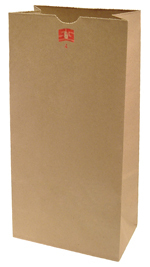 The 6" x 3 5/8" x 11 1/16" kraft grocery paper bag (35 lb.) 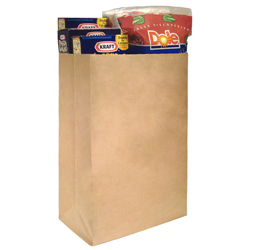 is a standard 30- to 35-lb grocery bag available in both kraft brown or white paper with gussets and includes self-opening thumb notches. A traditional favorite for all retail use. 10-1/2" x 8-1/4" x 9-1/4" Reusable Insulated Shipping Box - Strong 200 Lb. test corrugated box is preassembled around a seamless tight fitting molded polystyrene body with lid that helps maintain a constant cool temperature. The 10" x 14" high density flat poly bag (.75 mil.) is made from virgin high-density film. These durable bags cost up to 55% less and are 50-75% thinner than comparable low-density competitor bags. The light, thin-gauge material reduces storage space requirements and lowers shipping costs. Resists stretching and will not scratch most surfaces. Safe to use with food items. 12" x 12" x 11-1/2" Reusable Insulated Shipping Box - Strong 200 Lb. test corrugated box is preassembled around a seamless tight fitting molded polystyrene body with lid that helps maintain a constant cool temperature. Red mesh net tubing (1940'/roll) is perfect for packaging onions, oranges, or other produce. Soft, flexible diamond mesh provides air flow and visibility during storage. Net tubing can be measured and cut to any size. Can be used with our white netting clips. High density t-shirt bag with "thank you" message - white (.5 mil) have an economical high density polyethylene bag also it is reusable and a favorite for carry out and retail establishments. Chrome dispenser rack also available.